Our impressions and what struck us as being of interest. The Spezi 2013 website can be found at: http://www.spezialradmesse.de/index.php?welcome. The exhibition has got larger. There is now a second area for test riding of e-bikes rather than mixing powered and unpowered bikes together on the bus station which is what happened until this year. 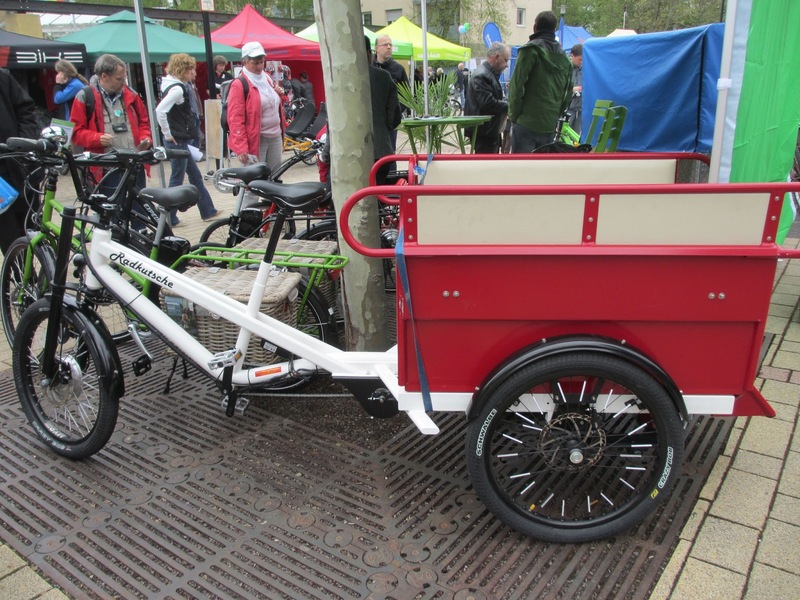 New trends: e-bikes, cargo bikes and trikes, pedelec cargo bikes, and trailers. 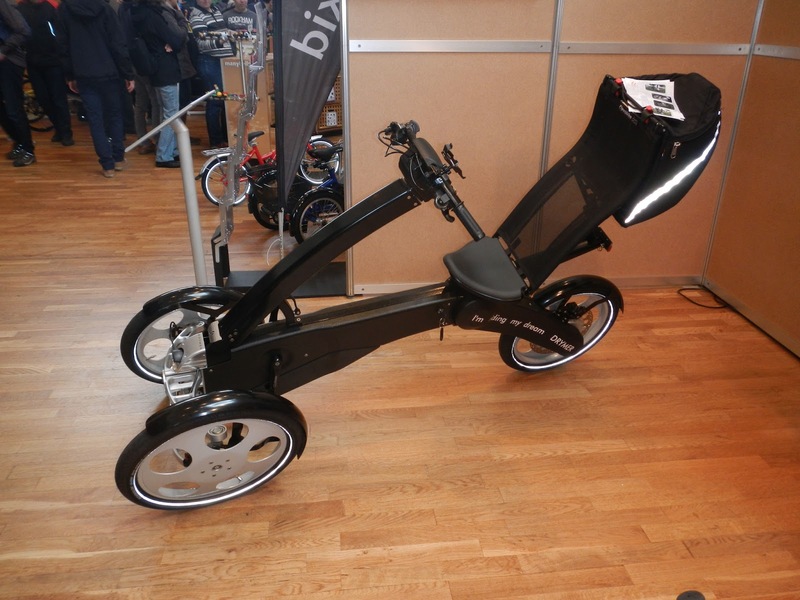 Riese and Müller are aiming to produce more pedelecs than unpowered bikes in the future. Obviously the major trike manufacturers were also represented, but to my not very learned eye the improvements in this area were all detail changes. www.bike43.com a transport bike prototype for up to 2 children. The geometry is similar to that of a Brompton, at least for the rider. The weight distribution is designed to avoid doing a wheelie with a child on the back of a bike. This it would appear is a danger with conventional child seating. www.bicicapace.com (Website in English) very stylish cargo bikes, to be expected as they are designed and built in Milan. The basic model is to be seen on the right hand side of the photograph above. 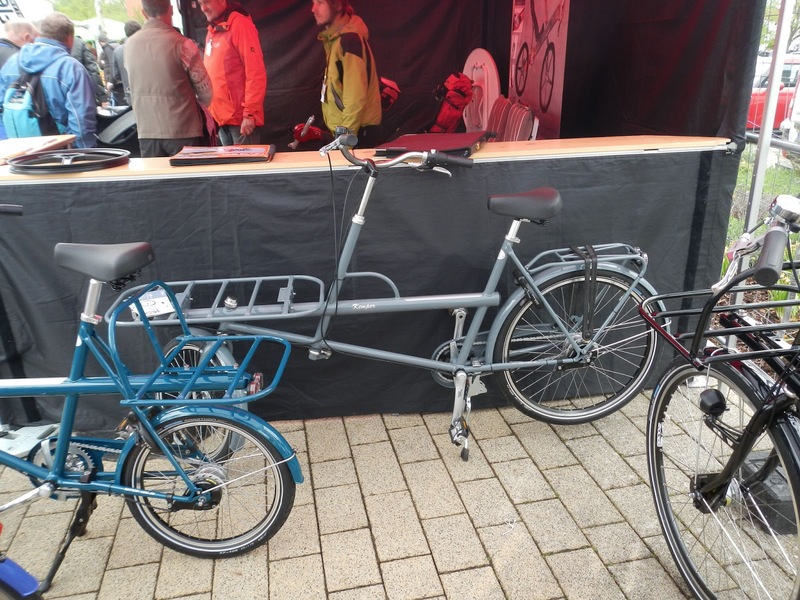 www.kemper-velo.de (Website in English) practical and stylish bikes including Pedersen bikes and a wide range of cargo bikes. The grey one above is the Filibus. The company does also sell bikes via eBay, but that bit of the website is in German. 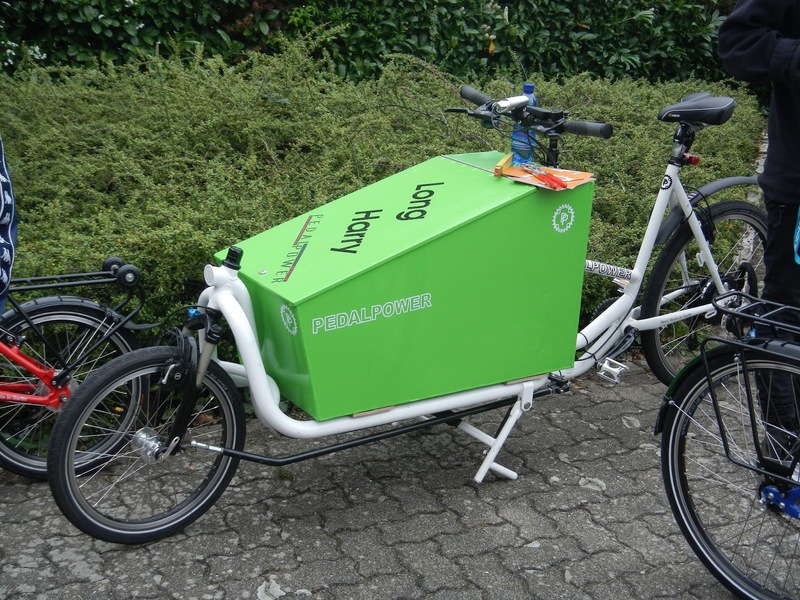 www.radkutsche.de (in German only) interesting cargo bikes. 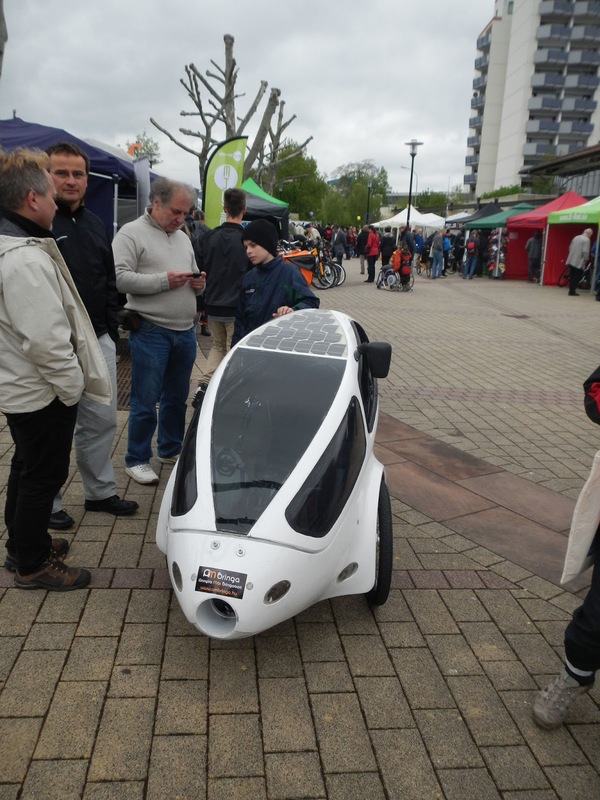 www.drymer.nl (in Dutch, but take a look) A all weather electric trike similar to the BMW C1. 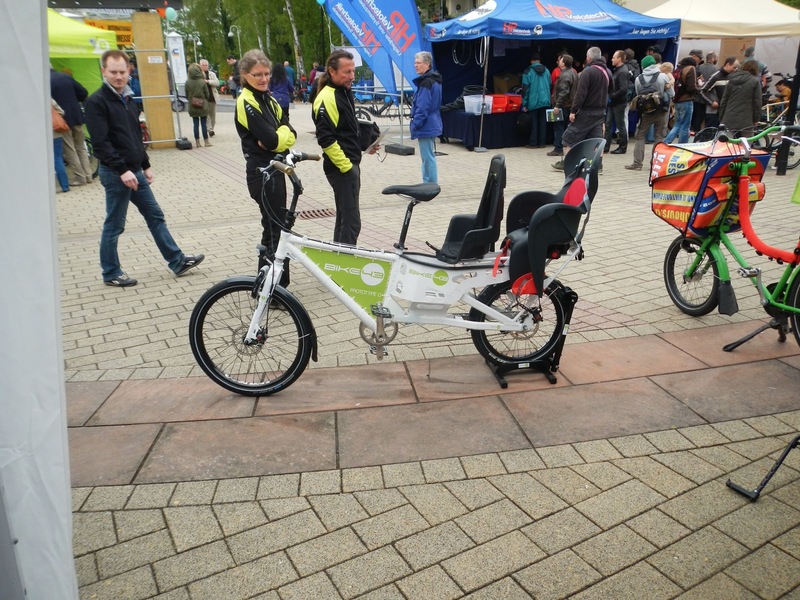 the trike shown above is the basic bike without the bodywork.